According to a new study, 45% of US resident physicians suffer from burnout, which manifests through a loss of enthusiasm for one’s work, a decline in satisfaction and joy, and an increase in detachment, emotional exhaustion, and cynicism. Not only is this dangerous for the physicians, but burned-out doctors are more likely to make mistakes while diagnosing and treating people. Doctor burnout is not a new phenomenon. It’s been increasingly studied and monitored in recent years, with several studies arriving at worrying conclusions. Although burnout rates vary significantly by country, age, and specialty, they are still very high in the medical profession — reaching what has been described as an “epidemic level”. The new study found that almost half of US physicians exhibit at least one major symptom of burnout. Those in urology, neurology, emergency medicine, and general surgery were at the highest risk. Researchers found that burnout rates can be partly predicted by high levels of anxiety and low levels of empathy reported during medical school. 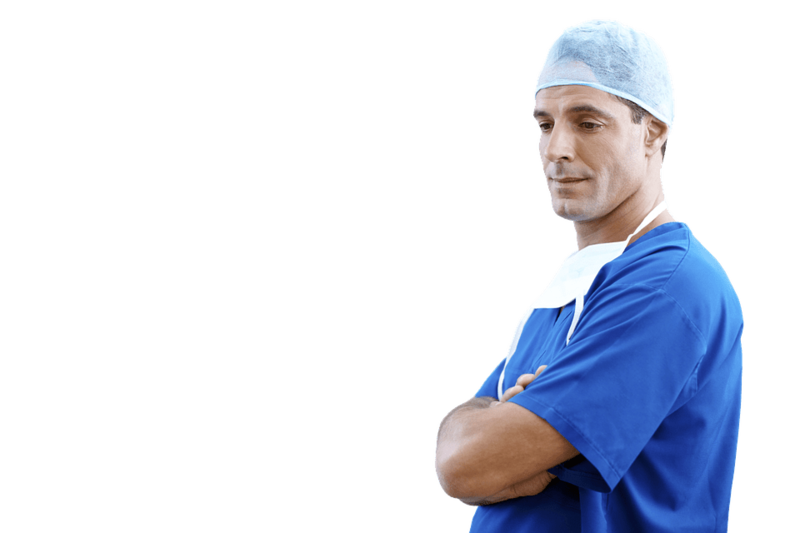 Furthermore, doctors with burnout were three times likelier to regret their decision of becoming a physician. The source of burnout can lie within individuals (eg, perfectionism or relying on denial and avoidance as coping strategies), the medical profession, or healthcare organizations (eg, the burden of electronic medical records, changing work environments, poor leadership). Solutions, however, traditionally focused on individual physicians and their resilience. Burnout is also connected with gender (with women having higher rates of burnout symptoms) and ethnicity. Physicians belonging to an ethnic minority (especially those who self-identified as Latino or Hispanic) were suffering more, though the reason for this is not exactly clear. It could be that overall, it’s tougher for minority doctors to make it through the system, or it could be something less obvious — researchers also speculate that minority physicians often are pressed into participating in various institutional diversity initiatives that overtax their schedules compared to nonminority physicians. Whatever the reason, the plight of minority physicians is generally understudied. But not all the study results were negative. The survey revealed that despite massive burnout rates, a majority of physicians are satisfied with their career choice and specialty. In particular, participants who reported high empathy scores during medical school appeared to be more resilient to burnout during residency — as explained above, these people also tended to have lower burnout rates. Lastly, people who received more emotional support during med school were happier and more satisfied with their career choice. This seems like a good angle for an intervention: if we want to keep doctors happier and more effective, providing support during med school seems like a good idea.